My introduction to teaching in higher education was pretty abrupt. Three months into my PhD, my second supervisor at the University of Leicester asked if I would mind teaching a seminar class on Leicester’s medieval module, ‘Monarchy and Society’. Leicester was short on medievalists that particular term and needed to draft in tutors from elsewhere. I had studied at Leicester as an undergraduate so the staff knew me well and felt I was up to the challenge. I eagerly accepted, excited by the prospect of teaching on a module that I’d studied myself only four years earlier. But this raised a serious issue. 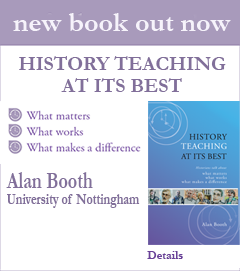 I was only 22 and had minimal experience of teaching beyond organising primary school workshops for the University of Nottingham’s Vikings for Schools project. How the heck was I going to persuade a group of 18 year olds to fall in love with medieval studies and (more worryingly) convince them that I knew what I was doing?! I knew my salvation would be effective lesson planning. I had to make sure I was turning up to classes fully prepared with engaging activities that would allow me to steer the discussion in a direction I was comfortable with. This meant that my lessons centred on group work, source analysis, and a lot of material culture studies. My teaching on ‘Monarchy and Society’ wasn’t bad, but it wasn’t inspiring either. I didn’t know enough about the topics we covered to make it so. But feedback from students reassured me that the activities I was organising were helping them to engage with the subject. When I started teaching on the University of Nottingham’s ‘Introduction to the Medieval World’ module, I was determined to show my students just how fun and exciting medieval studies can be if approached correctly. I generally start the class with a task that focuses on material culture. This can be a piece of artwork, a manuscript folio, an object, or any other item that I feel summarises the main issue I want to get across to the class. For example, in a recent seminar on ‘Saints’ Cults and Pilgrimage’, I showed the class an image of a pilgrim sign depicting St Thomas Becket and asked them to think about what it is, who might have owned it, what it depicts, etc. This was a good way to introduce the class to what a pilgrimage is, the types of people who went on pilgrimage, and how important saints’ cults were to medieval society. Main text-based activity(s) – I always make sure that the main bulk of my lesson is focused on the set text (either a primary or secondary source depending on the lesson). 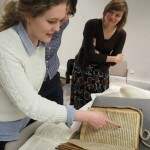 When I taught about Magna Carta, the set text was an English translation of the 1215 charter. In advance of this lesson, I assigned each student a different ‘character’ and asked them to think about how he/ she would have viewed Magna Carta. I then asked them to present their perspective to the rest of the class. 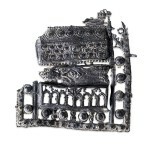 This enabled us to discuss the impact Magna Carta had on a range of people: noblewomen, peasants, felons, rebel barons, and even kings John of England and Alexander II of Scotland. The class enjoyed the structure this gave to their reading and were more willing to engage than they might have been had we simply discussed the text as a group. Reflection/ critical thought task – I like to finish off with a task that makes the class reflect on and challenge what they’ve learnt. When we covered ‘The Vikings in Anglo-Saxon England’, we spent the entire lesson looking at the conflicts that took place between the Vikings and Anglo-Saxons without thinking much about the cultural similarities between these two peoples. As a closing activity, I created a PowerPoint slide full of unlabelled artefacts from the Viking Age. I placed all the Viking artefacts on one side and the Anglo-Saxon ones on the other. I asked the class to discuss in pairs what each of these objects might be and then to decide which side was Viking and which was Anglo-Saxon. Predictably, they found it hard to distinguish between the two sides, enabling me to stress the cultural assimilation that occurred in Viking Age England. Using this ‘three-point plan’ cut my lesson planning time in half. I now know exactly what I want to achieve from my lessons before I even start to plan them. I highly encourage new teachers to adopt a similar scheme, since one of the biggest issues all new teachers face is figuring out how to plan good lessons without spending too much time on them! I learnt this lesson the hard way, as the first year of my PhD was burdened with teaching-related stress that many of my peers had yet to experience. But looking back on that year, I know it’s made me a stronger teacher and I feel I’ve finally achieved my initial aim: to convince my students to view medieval studies with as much excitement as I do! Emma, I wish I’d been half this thoughtful in my own stumbling early steps in teaching. Instead, sheer terror at being caught out as an impostor tended to dominate and desperate reading of the books and articles on the bibliography took my eye off thinking clearly about what I was trying to do or wanted the students to learn and led me to try to do cram too much in the time available. I learned eventually: 1. that the students will never have read as much as you do anyway – indeed getting them to read anything much is an ongoing challenge. 2. It’s unlikely they’ll learn more than a couple of things in a single class whatever the amount of content covered. Wanting students to love the subject like you do is a good ambition. It focuses your attention on what activities will motivate them and reminds me about the importance of teacher enthusiasm. If you’re looking bored students will spot it very quickly and react accordingly. I guess we have to remember that we can’t win everyone over, but a major task in year 1 is definitely to get as many students as possible enthused (or at least interested) in your module/period – and perhaps this is a particular challenge for Medieavalists given the focus of A-level syllabi (though maybe lack of familiarity can be refreshing). If the students aren’t enthused in year 1, it’ll be even harder to motivate them in subsequent years. Intelligent planning is definitely essential. I see it basically as thinking through what you want them to get out of the seminar and how you will achieve this. What I like about your ‘three-point plan’ is that it considers 3 vital elements: knowledge (the amount you can get through or the things you most want them to take away in the 50 minutes); action (getting them doing varied things and using varied sources/materials, in a progressive sequence; discussing in pairs; presenting their own view to class); and reflection (on what they’ve learned). All these will help them to make sense of the material. And the sequence of small activities you set I think lets the students see the learning is manageable as well as interesting. I particularly liked your artefact-led endgame which made them reflect on the subject and the learning but also challenged their current understanding. It might be good to revisit this later in the semester alongside their changed conceptions of ‘the medieval world’. At the end of a seminar sometimes just asking them to jot down the 2 or 3 key things they’ve learned can be a helpful and simple means of encouraging them to reflect (or in a lecture for that matter). The only thing I’d want to add from my own experience is that sometimes as you begin to teach a class it becomes obvious your plans need to be modified – perhaps they’ve done less reading than you’d like or they can’t understand what you think is a basic concept. Here staying attentive to what’s going on is important. Planning should not involve rigidity – I’ve planned it this way so I’m going to do it! It is important to factor some flexibility into planning to and to respond to what is happening (as opposed to what you’d like to happen). One or two plan B activities might be useful, but it’s just helpful to remember that adapting what you do as you go along can make all the difference to students’ participation and make it more interesting for you too. All in all you’ve provided a model of practical, time-efficient planning for anyone starting to teach – whatever period/topic they’re teaching. It really made me think. Thanks Alan! Yes, terror at being caught out as an impostor definitely held me back at first (I guess this is unavoidable). But I soon realised that admitting you don’t know everything doesn’t make you a bad teacher! Once I realised this I got into my stride a bit more. I totally agree with you on the need for ‘plan B’ activities. I’ve sometimes had to scrap entire lesson plans because of projectors/ printers not working. So learning to be flexible is certainly a skill I’ve developed since starting to teach. I do have a terrible tendency to get frustrated if the students don’t ‘get’ a lesson or activity that I’ve predicted will be really fun and informative. I need to work on this… But that’s the nature of the beast I suppose! 1. Material culture starter activity. How do you draw out students to talk about something that they’ve not seen before? How do you elicit the information you’d like without simply telling them what you think? How do you deal with off-target suggestions? How do you ensure that as large a number of people as possible contribute to the discussion? 2. Main text-based activity(s). I really like the idea of getting students to think about their particular ‘character’ might have responded to the test, but this brings up the main reservations people have about roleplaying. How do you guard against anachronism, or stereotyping, or fictionalising? 3. Reflection/ critical thought task. Again, great use of visual materials and a powerful message with which to end the class. 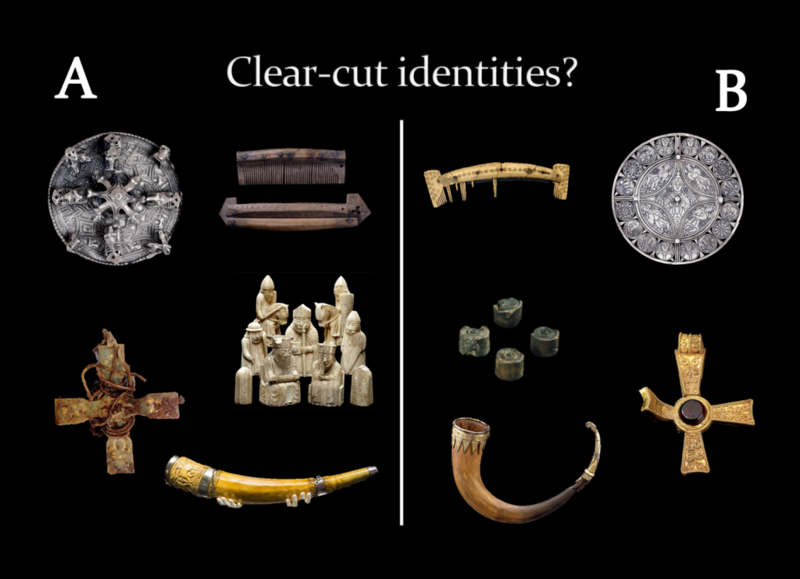 But is discussion constrained by the title (‘Clear-cut identities?’) and the choice of similar objects. As you say, ‘Predictably, they found it hard to distinguish between the two sides’ – so is this task less about discussion and debate than about conveying a ‘take-home message’? As you can see, I have many more questions than answers about how to run good first-year seminars, which I find some of the hardest classes to teach. Your inspirational approach is further evidence of something I’ve begun to suspect: that if staff ask postgrads to teach such classes, we should also entrust them to design them. I hate to be a broken record but you’re also far ahead of my first efforts at seminar teaching (also in the first year of my PhD)! I basically tried to lead classes in the ways that I’d observed from my tutors and soon learnt that this was a mistake – I didn’t know as much as they did and simply didn’t have the same classroom presence/ experience and so couldn’t carry it off as well. Over time I came to the same realisation that you did – group work and interesting/ varied activities are good (= the best?) ways to get students engaged in the material and to break down their reluctance to speak in class. I found that many students don’t like to take the risk of airing their own opinions but are much freer with opinions that have been discussed (and validated or modified) via small group discussion. As a medievalist, it can also be daunting to try to engage students who haven’t necessarily studied the period before with the material but I think your strategies are sound. There is also something exciting (for me and for some students, I think) about engaging with new and unfamiliar material and if you can tap into that then you’re onto a winner. That’s why I like the starter activity you mention and also the use of material and textual culture together. This will better prepare them for future study and open their eyes to the breadth of material that’s available to them. One thing I’ve found is that while a basic structure is important (and the starter-main activity-plenary is classic), it’s also useful to vary the focus and delivery of the session. I think some students can weary (and I do as a tutor for sure) of a structure that’s repeated week one week for 3 months or more. Don’t be afraid of playing with that basic format, especially if you notice that a particular class isn’t working out as you’d intended. Learning to be flexible and reflect on your classes as you go (and afterwards) is empowering as a teacher. The fact that you’ve written his blog suggests to me that you’re already well on the way in that regard! Thanks for your comments. It’s nice to hear that I seem to be on the right track so thank you very much for such kind feedback! I think having studied on the Leicester medieval module only four years before teaching on it meant that I remembered vividly how painful it can be to learn a totally new subject! Even though I’d always been interested in medieval history, I still found it hard as an 18 year old to tackle medieval topics after studying purely modern ones at A Level. I found it especially hard to engage with the old-school seminar style of sitting around a table and discussing a set essay (which inevitably meant sitting in awkward silence while the tutor tried to pry answers from us students!) I agree it can be extremely rewarding to encounter new and unfamiliar material if this material is approached in an engaging way. Yes, the need to vary the focus and delivery of sessions is something that’s been pointed out to me by my peers. My ‘three-point plan’ has become something of a safety net now, but I do need to mix things up from time to time so my classes don’t become horribly formulaic. I’m going to try and work on this in future. For some reason WordPress won’t let me reply directly to your comment so I hope you see this! Thanks for such great feedback and your kind words. I’ve certainly encountered many stumbling blocks during my teaching which I might address more fully in a later blog post. However, I’ve been very lucky with my class this year and this has made things much easier. All of the students in my class are willing to speak up and get involved with any activity I throw at them. That being said, I knew from the start that I wanted to cultivate a communicative atmosphere and I think actively trying to create this from day one has helped me. I started as I meant to go on by giving the class a thought-provoking activity in the very first seminar, which is normally just a boring administrative class. I gave them a translated passage from Macrobius’ treatise on gravity. Macrobius was a fifth-century writer who knew that the Earth is round and that rain falls towards the Earth’s centre. I asked the class to draw a diagram illustrating Macrobius’ explanation of rainfall. We then looked at a medieval diagram illustrating the same passage. Their diagrams were quite different from the medieval interpretation and I used this to show the class that we have to put aside (or at least try to!) our modern perceptions when it comes to studying the medieval period. They were also extremely shocked to learn that medieval people did not think the Earth was flat! 1. I always get the students to talk about the item under discussion in pairs before feeding back to the class. I’ve found this prevents nervousness about being put on the spot. It also means that at least one person from each pair has to speak. I also impress upon them that there is no wrong answer – all suggestions are welcome, as even the most eminent scholars don’t know what many of these objects are! But I often tease out the answers I’m looking for by giving them hints or asking them to ‘think about it from the perspective of [blank]’. 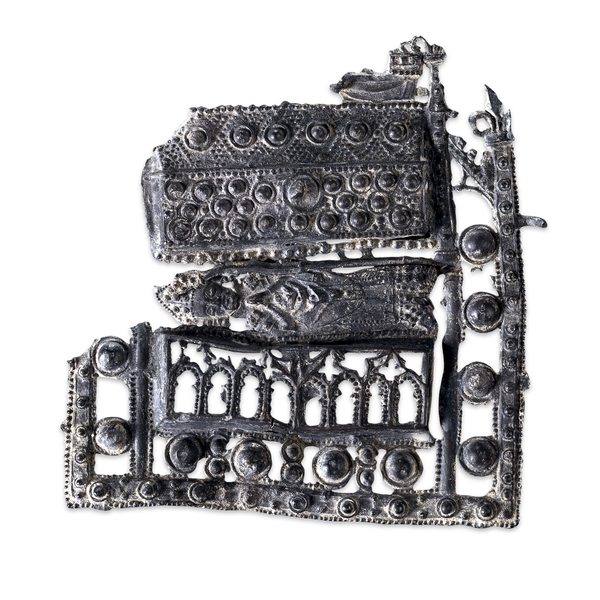 For example, with the Thomas Becket pilgrim sign, I told them that it was a thirteenth-century object found in Canterbury associated with tourism and they swiftly guessed that it was some sort of souvenir linked to Becket’s shrine. But even if they hadn’t guessed the ‘answer’, half the fun of this activity is seeing what they come up with and then comparing it to what scholars currently think. 2. Roleplaying was my worst nightmare at undergrad so I would NEVER inflict that torture on anyone else! Instead of asking the class to assume a particular character, I just ask them to talk about what that character’s perspective might have been. As for avoiding anachronism, stereotyping, and/ or fictionalising, I haven’t really thought about this much. I suppose sometimes the only way an eighteen year old can engage with the issue at hand is by using terms and examples he or she is familiar with. This means that a degree of anachronism, stereotyping and fictionalising is inevitable. But it’s my job as the seminar leader to say: ‘that’s the right idea, but medieval societies probably approached that issue in this way…’, or ‘what limitations might be associated with this source…?’ etc. 3. Very good point! That particular example (the ‘Clear-cut identities’ slide) was indeed about conveying a ‘take-home message’ rather than provoking debate. The main text-based activity for that class was on place-name studies, which is a very complex subject area. I knew the class would take a while to get to grips with it so I devoted most of the seminar to the place-name activity and needed a short activity to finish with. But the closing activities I use aren’t always this prescriptive. In my class on the Carolingians, I simply asked them to tell me whether or not the early medieval period (including the Carolingian period) should be labelled a ‘Dark Age’. I hope I’ve answered your questions helpfully! Yes, I totally agree that postgraduate teachers should be given the freedom to design classes themselves. I’ve really enjoyed planning my lessons and have been glad of the freedom allowed to use the sources and activities I see fit. Emma this is really impressive stuff. Thinking about role play – yes it can be awful. But it does depend on the group. When getting students to think from the perspective of a medieval person you could firm it up for them by discussing historical empathy explicitly, esp. if they haven’t come across the concept in a core module. David D’Avray’s work on historical rationalities is thought-provoking too (although I have to admit that some of it is too clever for me). On material culture, I have some thoughts on seminars where students themselves present and use artifacts. I do find that they don’t use artifacts well when left to their own devices. I should maybe train them up front more explicitly. With my second year group I try to do this a bit, so in asking them what something ‘is’ I try to get them first to say, it’s a manuscript illumination/seal/reliquary etc. They tend to want to leap to what is depicted, as in, “It’s the siege of Jerusalem/Knights Templar/Thomas Becket’s murder”. Also, I think we have to make sure that they are precise when they use images to illustrate a presentation. Sometimes they use ‘a picture of’ something without distinguishing between medieval and modern images. Often it’s nineteenth-century neo-gothic depictions of medieval subject matter, for example, which they think is better than something ‘really modern’ because it’s older. I hate interrupting their presentations over this, and try to do it constructively and not to undermine them, but it’s important that they realize that illustrations are never neutral. In trying to produce interesting as well as instructive slides, they shape the audience’s sense of the subject matter, so they should avoid doing this in an anachronistic way. Not that they can’t use modern depictions, but they need to do so critically – we can have an interesting discussion about the modern depiction, which also helps to make the interruption constructive.